REBEL ROAD COMPANY: Yay 50! Hooray! 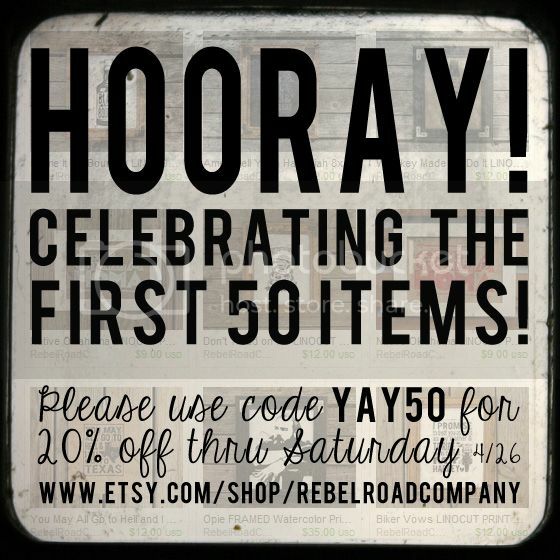 Tomorrow morning, I'll ship out the 50th item sold since Rebel Road Company started on Etsy in October. I'm so thankful! You guys rock. Please use coupon code YAY50 for 20% off Etsy shop items through Saturday 4/26. Click link to the left or 'Shop' tab at the top. Other fun shoppy news... some items are now listed on Bourbon & Boots. 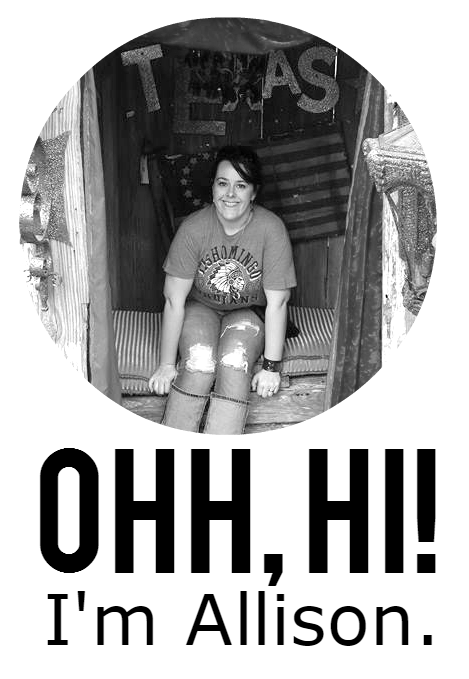 Really fun site with lots of good handmade Americana items. Check it out.